If you’ve never been, Historicon is enormous. Admittedly, it is fantastic to spread out in one huge room full of so much gaming, but I do like the intimacy of the smaller rooms found at some of the other conventions during the year. Here are just a couple things I did like at Historicon. 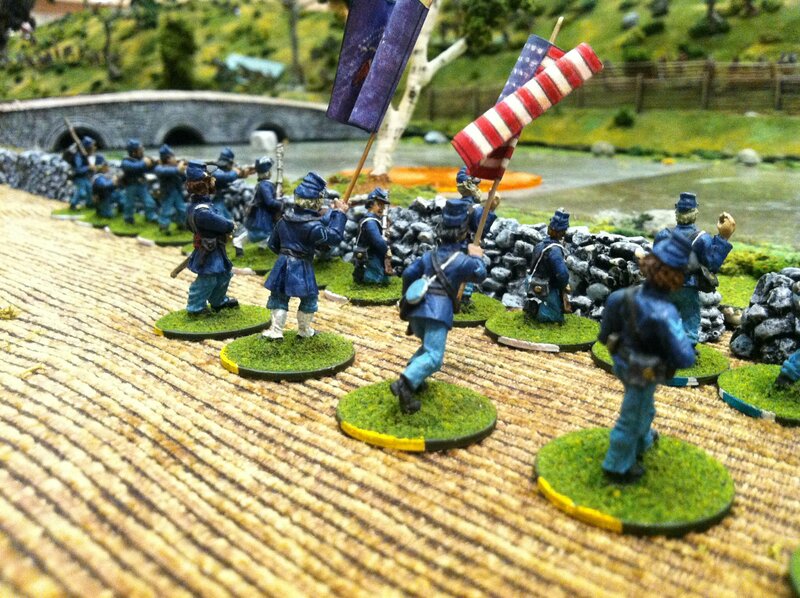 I just love the American Civil War games these guys put on. Their 28mm figures and terrain is just oustanding, and their historic scenarios always play out with incredible accuracy. 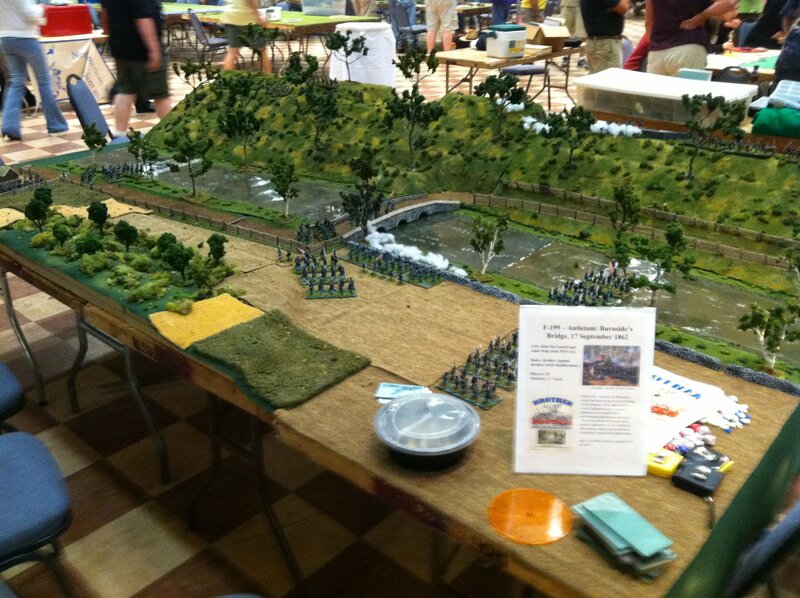 This time around we were fighting back and forth at Burnside’s Bridge over Antietam Creek at the Battle of Antietam. The hill, the creek, the bridge — it was all there — and it made for a fantastic few hours of gaming. For the first time at a convention, I decided to try my hand at running a game. 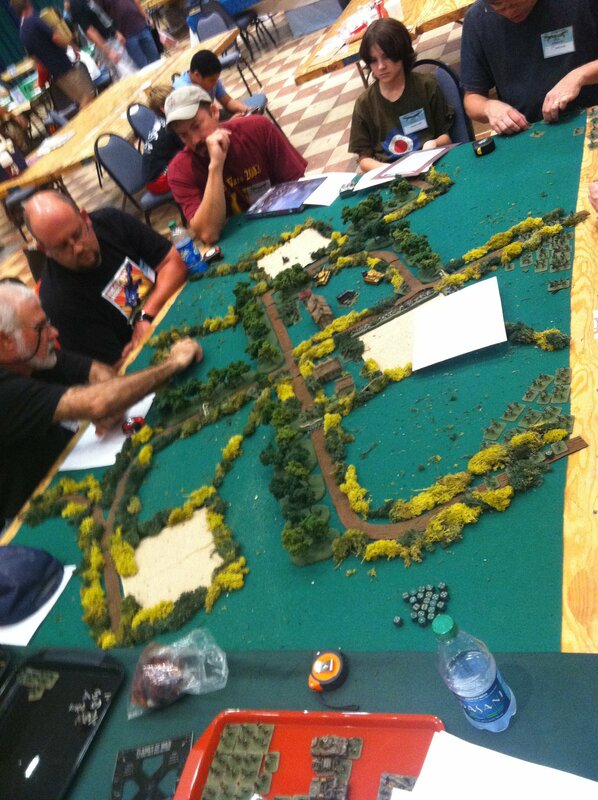 With my brother (in hat) and son (in RAF t-shirt), we ran a small post D-Day scenario using the Flames of War rules. With the Screaming Eagles fighting it out against the Germans in the bocage of France, it was a fun little game but exhausting to run as newbie. On the flipside, my brother is a pro at running convention games. 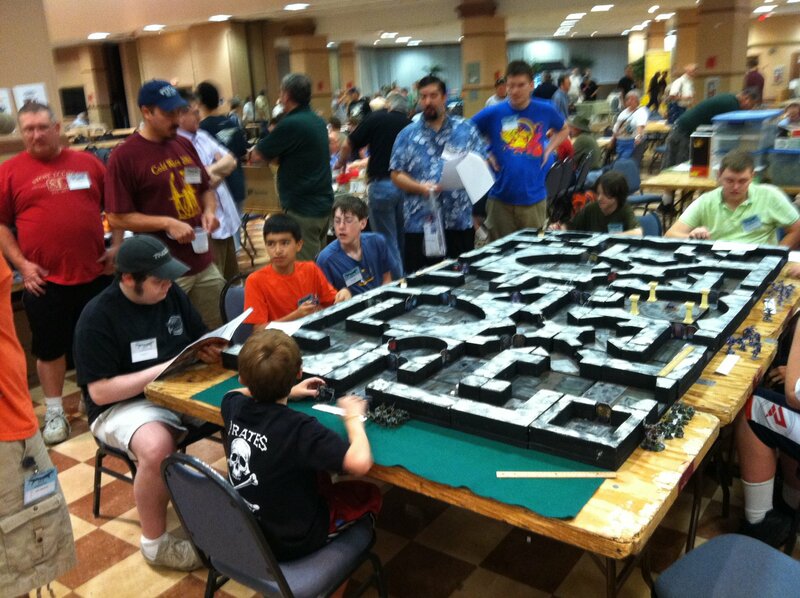 His creative home-brewed rules and great models and terrain always draw a crowd, and he loves getting kids to play. At below left, he’s running his famed Godzilla game full of great Japanese models. On the right below, is his modified Space Hulk game featuring a fanatsic 3D modular gaming board he can mix up for each game. The winding sci-fi passageways even contain real sliding doors.